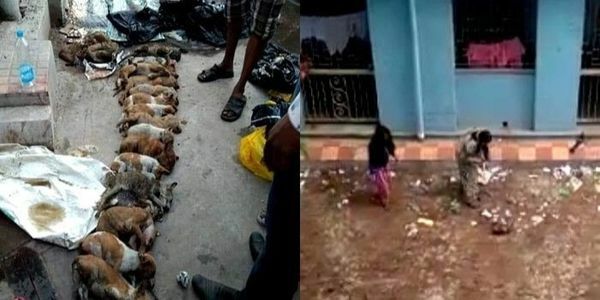 petition: Stop such insane Animal Cruelty: 16 PUPPIES BEATEN TO DEATH! Stop such insane Animal Cruelty: 16 PUPPIES BEATEN TO DEATH! Two nursing students appear in a video mercilessly beating 16 puppies to death in a state-run medical college and hospital. Hospital garbage bags containing 16 dead puppies and a dog with signs of severe torture were recovered near the medical college on Sunday. The two students were arrested on Tuesday after hours of interrogation. The nursing students -- Moutushi Mondal and Shoma Burman of Nil Ratan Sircar Medical College and Hospital -- were identified from the video and confessed to this heinous crime, a hospital official said. No serious actions will be taken against them, just because they killed puppies and not humans. They might as well be out of jail in two days and allowed to work again. I am against that. They should be rusticated right away from the prestigious medical college. I want strong actions to be taken against them for such a gruesome crime. I demand justice. Hold these cruel animal abusers responsible for their terrible crimes of beating puppies to death!